All is going well until the motorway is closed – we seem to be hitting a bit of a recurring theme here – first the A11 and now the M6. By the time we reach the ‘incident’ (which is on the South bound carriageway) the heavy lifting gear is in place to pick up the concrete central reservation which seems to have fallen off the back of a lorry. At least we weren’t in the really long queue now formed behind it. We arrive at the campsite at 10.30am – had forgotten the rules – def not allowed on until 1.00pm – yes but there are spaces – yes but there are rules – can we have pitch 18 or 19 please – no pre reservation of pitches – but they’re empty – yes but they are on my list as reserved because there are sisters coming in – yes – but you’ve just said you can’t reserve pitches – well we don’t – ok then so can we have 18 or 19 – you can’t reserve pitches! Anyway we were first in the queue at 1.00pm and swiftly erected on pitch no. 18! 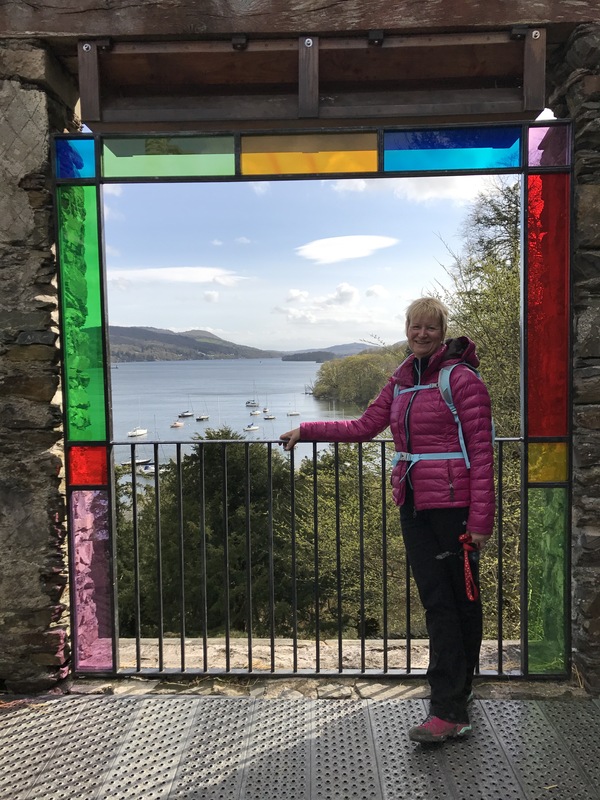 A good old mooch around Bowness and Windermere saw many unneeded purchases – new ‘pretty’ walking boots, half price trousers and a cycle top to match my Brompton – as you can detect all a clear necessity! 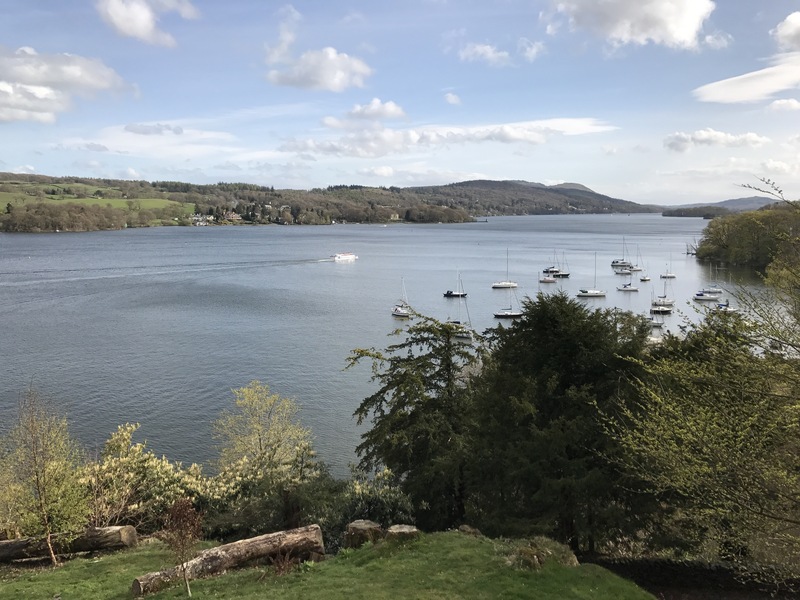 Met up with some friends and did what you’re supposed to do in the Lake District – walked up and down – admired the views and visited the pub. 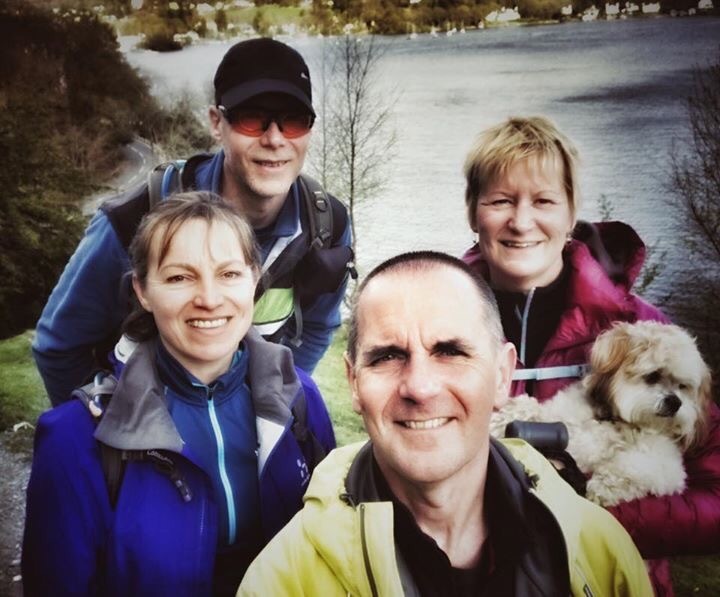 We took the ferry across the lake from Bowness and walked up to Claife Heights and Moss Eccles Tarn. It was a good walk – breezy at the tarn – warm in the pub. We thought we’d eat out – but after a trek around the town we thought we’d entered a parallel, often leopard printed, universe. 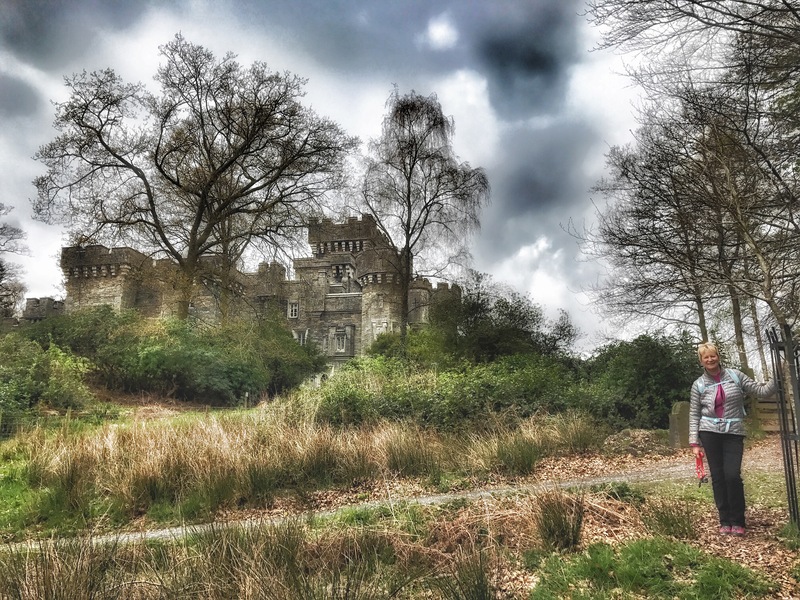 Tesco express proved the better option – we bought a curry and literally scurried back to the peacefulness of Neville. 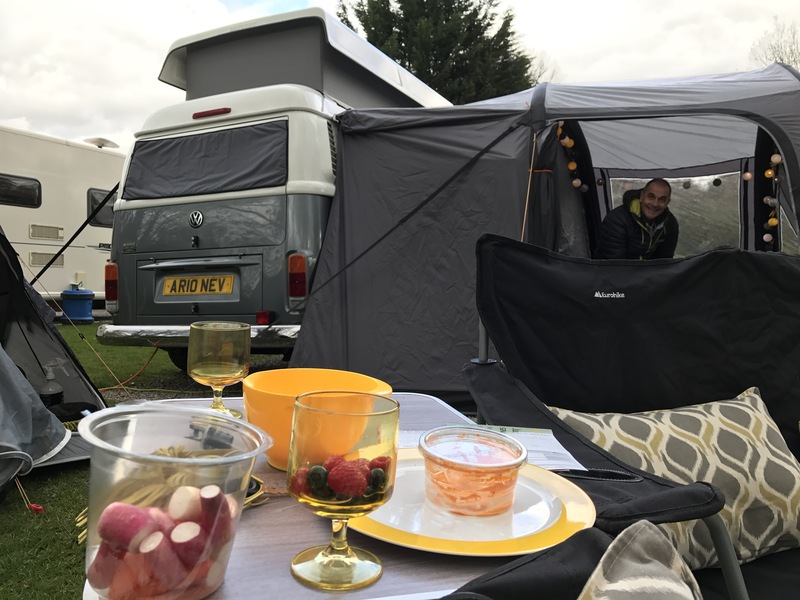 Now – the camp site – Braithwaite Fold – hmmmm – a camping and caravan site – very well located – yes – good showers and toilet block with plenty of hot water – yes – feels a bit like camping in a car park – yes – albeit in very expensive company! Would we come here again? Not sure – yes for ease of access but ………. 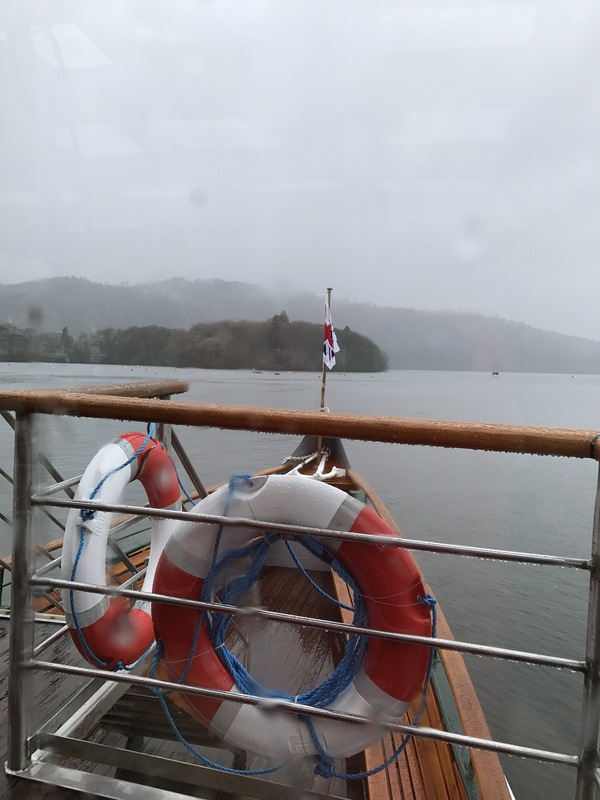 Wet, wet,wet – and no Marti Pellow in sight. 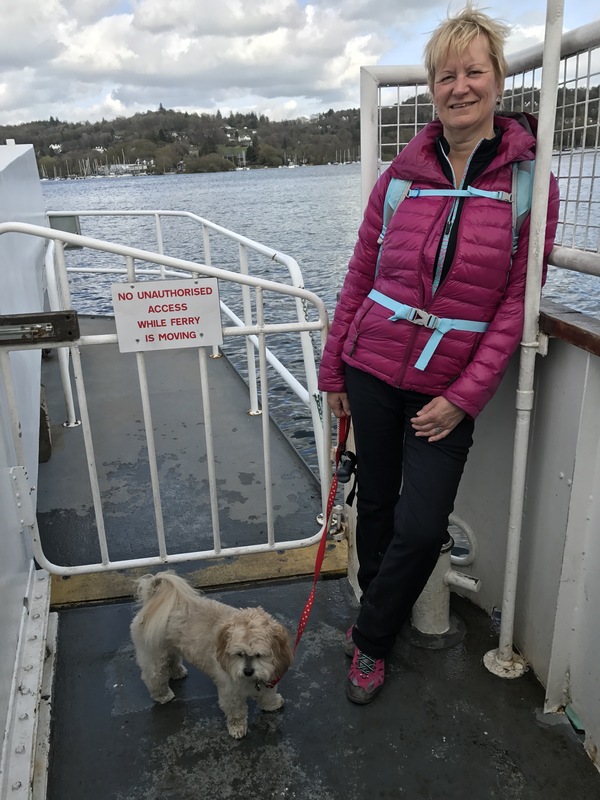 We took the boat to Ambleside and mooched around – Millie was not keen on much of the day – the apple pie cafe is always a good bet and dogs allowed in – a bit of shopping – and then back on the boat – an interesting phenomena to be in the white minority! 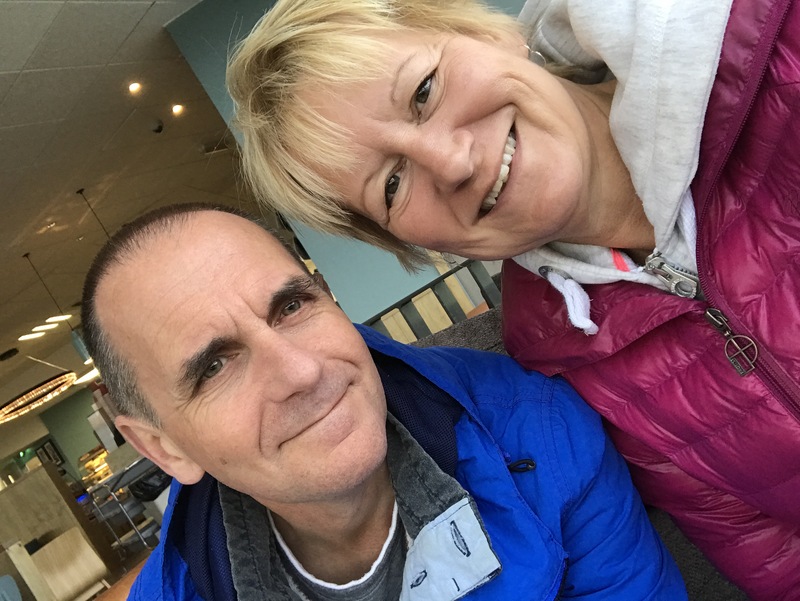 Still wet, wet, wet – so almost embarrassed to say a night of tv – in the dry and in the warm – I wonder Martin Bellamy – did your factory reset work as well as ours? 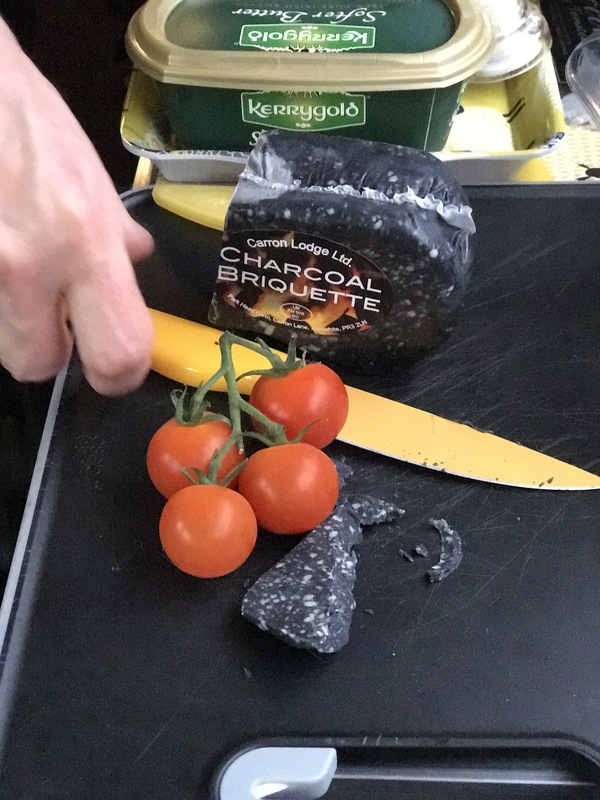 A cracking bit of ‘charcoal briquette’ for tea. An almost balmy start to the day – a trip over on the ferry and a gentle stroll to Wray castle – very pleasant – until – it bloody well rained again – no rain was forecast – wet and bedraggled we headed back to base – Millie not quite sure what was going on – where was the warmth and why was she being made to walk so far? So some packing up was done in preparation of the morning departure. A stressful time begins ……..
Let’s go shopping for a Puck!